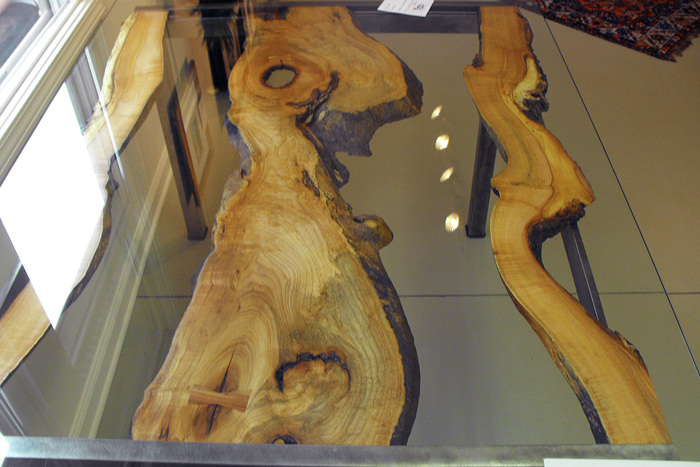 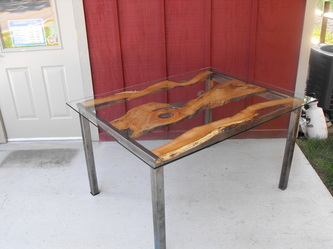 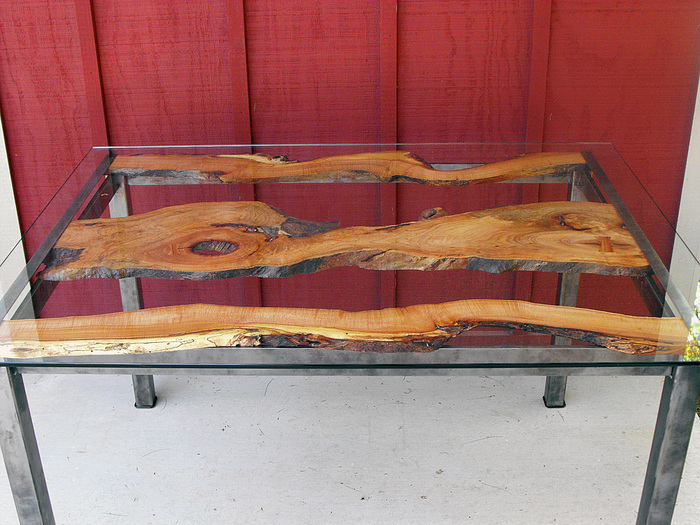 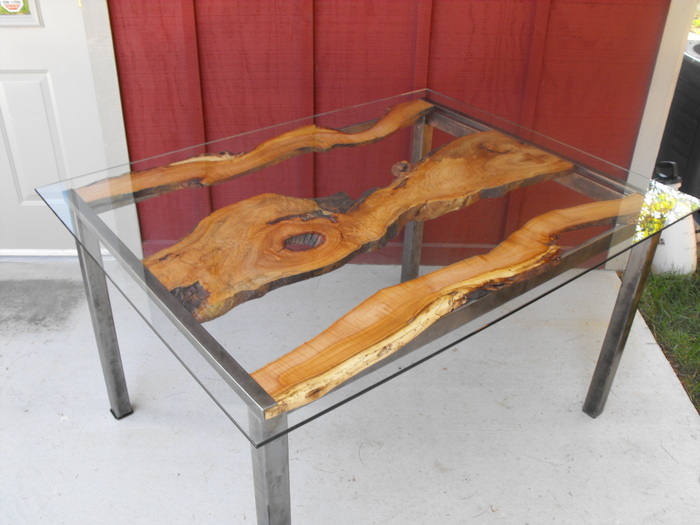 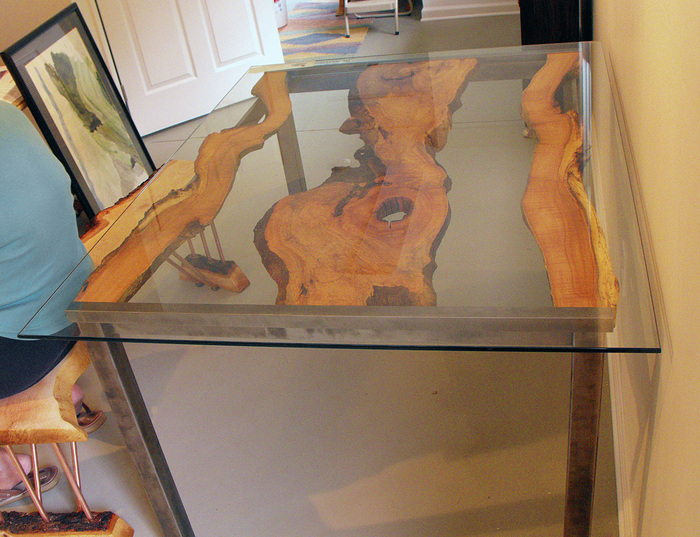 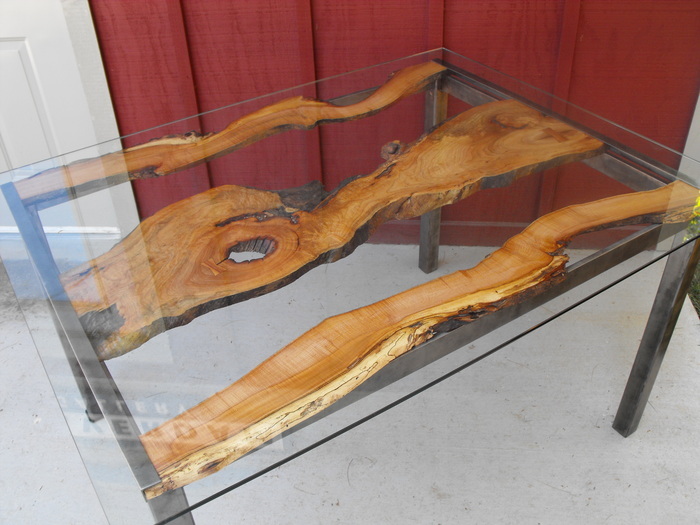 consist of curly maple, wire brushed steel, and glass. 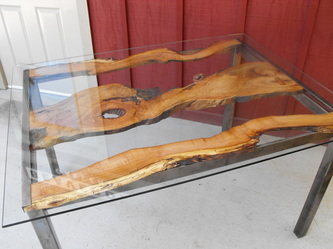 curly maple top sits on a sturdy wire brushed frame. 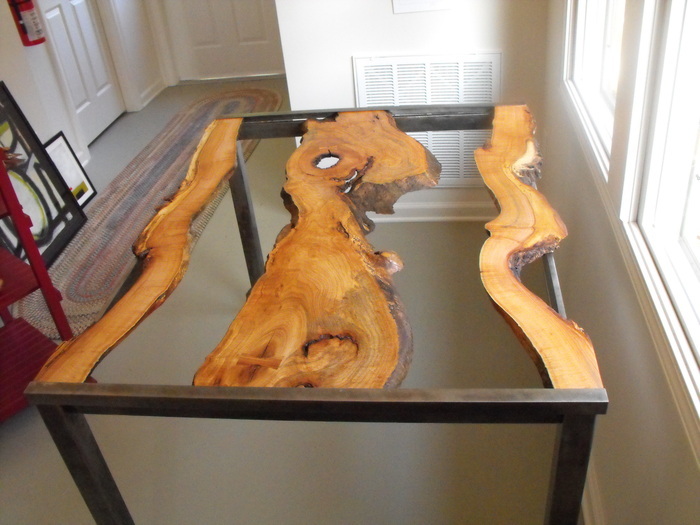 durable oil/urethane blend protects the wood and enhances the rich maple. 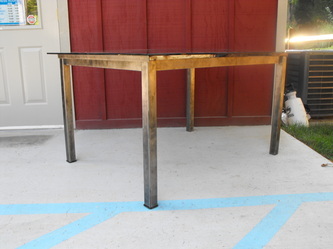 Many coats of rust resistant Rustoleum paint have been applied to the metal to provide protection and rust inhibition. maple is salvaged from Edwin Place off of Kimberly Avenue- Asheville, North Carolina.